The fiscal year runs from July 1 through June 30. CFFC uses a basic cash basis of accounting since the corporation does not own fixed assets. 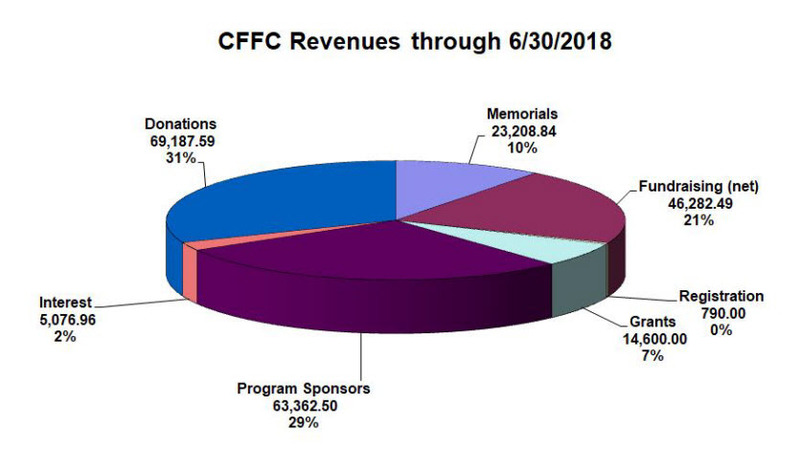 To see the results from our most recent fiscal year (July 1, 2017 through June 30, 2018), check out the CFFC Financial Statement 06302018. CFFC prides itself in converting donations to benefits for the CF community with minimal administrative cost. 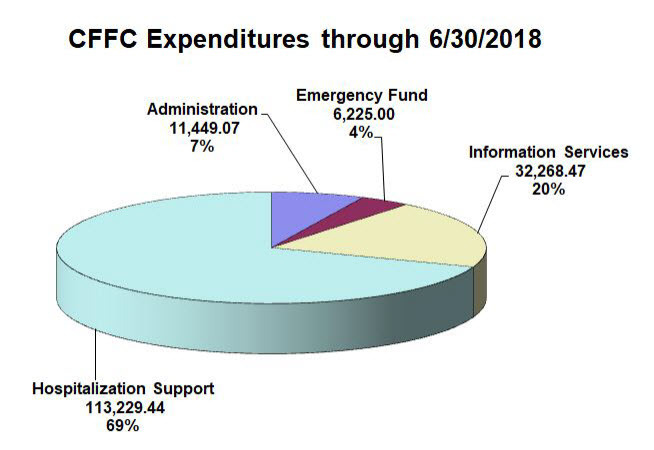 The following charts provide information on CFFC finances since its inception in 1993 through June 30, 2015. Click here for descriptions of the revenue categories. Click here for descriptions of expenditure categories.